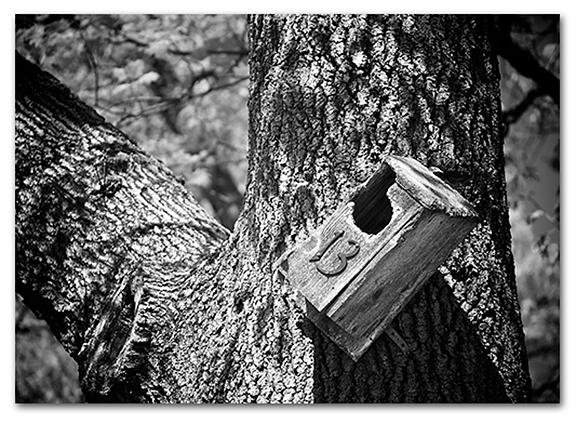 A birdhouse, hanging askew on its nail, with the strange distinction of having the number thirteen placed upon the outside of the nesting house. Abandoned and lonely, this birdhouse appears to be unused by the animals intended to occupy it. Perhaps some bird superstition?